For book donation guidelines or to learn more about volunteer opportunities, visit www.thepopproject.org. Are your bookshelves getting a bit cluttered? If so, the POP Project can help you—while helping others. Created in 2009, the Asheville-based nonprofit is dedicated to “pages opening people” by putting gently used books in the hands of folks who otherwise go without. 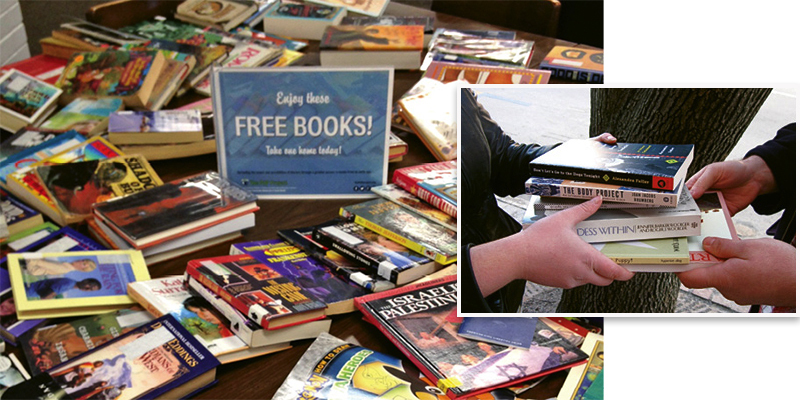 Targeting places like prisons, rehabilitation facilities, and schools with lackluster libraries and reading programs, the organization collects and donates books (and shelving, where needed)—and recently partnered with local nonprofit Green Opportunities to construct little free libraries as well. To date, the project has found new homes for more than $180,000 worth of books. While POP seeks to tackle illiteracy in all of its forms, it’s increasingly focused on younger demographics to spark early reading. “A lot of people like to hold onto children’s books for future family generations but don’t realize there are kids that could use them right now,” says Jim Mackenzie, a cofounder of the project. “They could be giving a child their first opportunity to read or own a book, ever.” Also in particularly high demand, he notes, are Spanish-language books and ones covering black history and topics like religion and spirituality.